18 May Filed under Uncategorized. 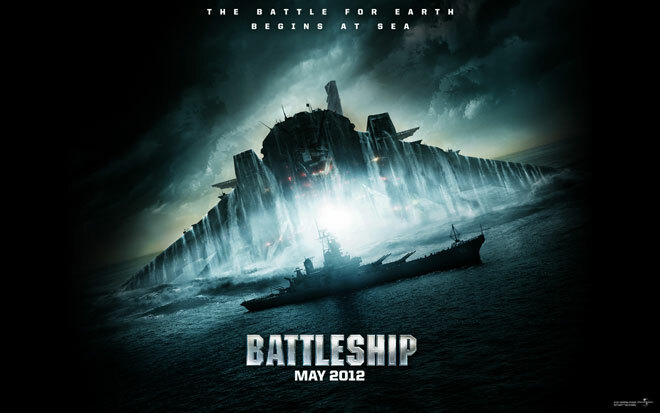 Tagged bad movie, battleship, john serve, rhiana, taylor kitsch. Bookmark the permalink. Post a comment. Leave a Trackback (URL). Today is very important. Very very very important. Like, monumental in the history of our country important. Yeah, yeah, yeah — The NATO summit is in Chicago. Whoop-te-doo. What’s really important is that Battleship opens today and John Serve and I will continue our tradition of seeing awful movies. YES! 1) It was written by an autistic child who loves playing with boats in the tub. 2) Pegs are weapons in the movie. YES, pegs. 3) Taylor Kitsch is box office poison — see John Carter. 4) Taylor Kitsch received his actor training form the same kid who wrote the movie. 5) Just because WWII navy vets served our country valiantly doesn’t mean we should publicly embarrass them with speaking rolls. 6) You will see GRID warfare. YES, grids. 7) Taylor Kitsch is dumb. 8) Despite the ad campaign, Liam Neeson is barely in the film. 9) Someone does say something about sinking a battleship. 10) A montage of active military and retired military men fixing a decommissioned battleship to AC/DCs Thunderstruck isn’t as bad as it sounds. It’s much, much worse. 11) Taylor Kitsch tries to talk. 13) Worst line in the movie? “You’re name’s not chicken burrito.” Who said it? Mr. Kitsch. 14) You will never, ever find out why Aliens are attacking earth. NEVER. 15) Taylor Kitsch gets a haircut midway through the film. 16) Every time Rhiana is on screen you question whether she is the alien. 17) Not all singers make good actors. 18) Rhiana is some kind of super nay crew woman who has every job on the ship. 19) You will hate any serviceman who has artificial legs. 20) The popcorn will taste good.